Circa 1893. This sought-after half duplex, set in a Village Victorian-era residence, offers wonderful, bright living space on three levels with nine well-proportioned rooms, five bedrooms, and two and one-half bathrooms. Period details grace the interior with high ceilings, bay windows, and hardwood floors. Other features include a kitchen with breakfast counter and a delightful eating area, a dining room with built-ins, an office, and excellent outdoor space including a welcoming front porch, rear deck, stone patio, and fenced-in yard. There is a finished basement plus a separate utility room and three-car tandem parking. 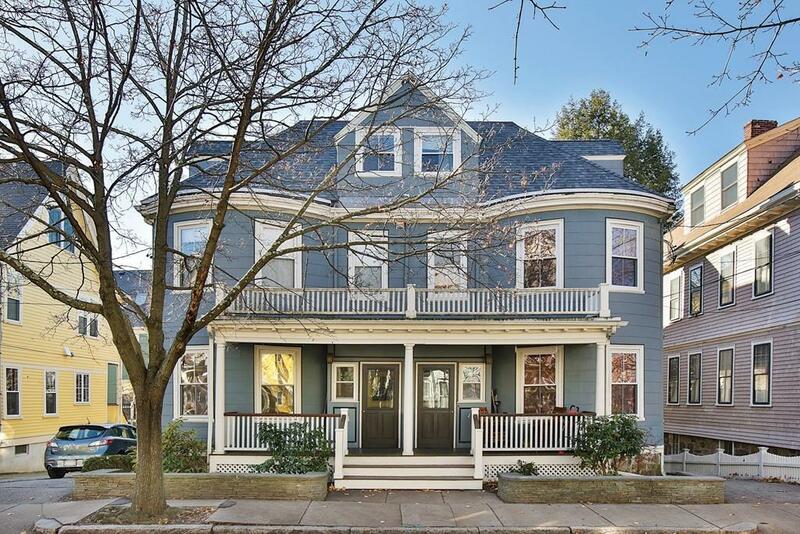 This property is in an excellent location, convenient to shops, the âTâ, restaurants, and all that Brookline has to offer.